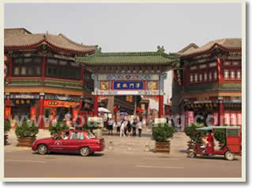 Beijing is a famous oriental city with profound history and splendid culture. 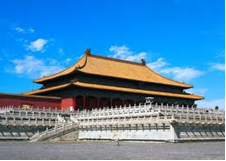 You will be captivated by the magnificent Forbidden City, the scenic Summer Palace and the majestic Great Wall. The tours to these scenic historical sites will surely leave you many fond memories of this trip. Click tour names for tour details. The world-renowned Great Wall is the symbol of ancient Chinese civilization, standing grandly in the land of China for more than 2,000 years and stretching over 6,350 km. The Great Wall was the longest defending wall in the world through all ages. 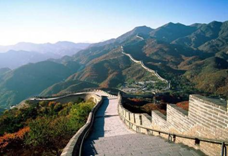 The Badaling stretch of the Great Wall is the most popular in the world. Consisting of 13 imperial tombs, the Ming Tombs are spread around a valley that looks like a natural courtyard with an entrance guarded by huge stone animals. 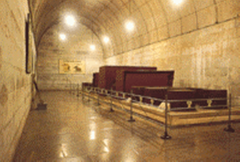 Of the tombs only the underground burial chambers of Dingling were open to the public after excavation in 1956. On display in the exhibition rooms are invaluable objects excavated from the Underground Palace, including Emperor Wanli’s crown and robes and the empresses’ tiaras. Built in 1406 to 1420, the Forbidden City was the Chinese imperial palace from the Ming Dynasty to the end of the Qing Dynasty. For almost five hundred years, it served as the home of emperors and their households, as well as the ceremonial and political center of Chinese government. Now it houses the Palace Museum. The complex consists of 980 buildings, covers 720,000 m2, and is listed by UNESCO as the largest collection of preserved ancient wooden structures in the world. 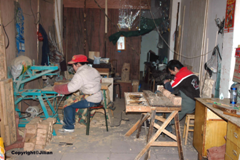 Hutong is Beijing’s old narrow streets where ordinary people live. 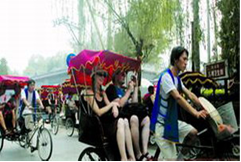 The old-fashioned pedicabs will take you around Hutong. You may also walk around and drop in one or two families and visit a neighborhood committee or a kindergarten. The Summer Palace is one of China’s largest and best-preserved imperial gardens. It was the temporary palace and summer resort of the imperial household in Qing Dynasty. 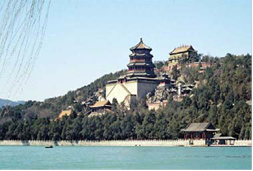 Built in 1750, it occupies a total area of 3.34 million m2, and is composed by Kunming Lake and Longevity Hill, dotted with halls and pavilions. The Lama Temple (Yonghe Lamasery) is the largest and best-preserved lamasery in Beijing. It was built in 1694 as the residence of the Emperor Yongzheng (the third emperor of the Qing Dynasty) before he ascended the throne. In 1744, the residence was completely converted into a lamasery. So the lamasery enjoys a distinctive architectural style. 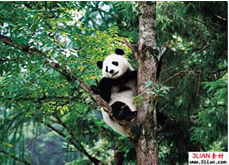 Enjoy the lovely giant panda at Panda Garden of Beijing Zoo. The Capital Museum is an art museum, containing over 200,000 cultural relics. A significant percentage of the museum’s art collection came from artifacts unearthed in Beijing. 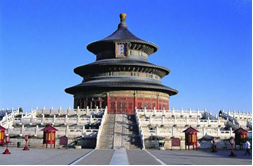 First built in 1420 and occupying an area of 273 hectares, the Temple of Heaven was the shrine where emperors of Ming and Qing Dynasties offered sacrifices to Heaven and prayed for bumper harvests. It represents the greatest achievements of Ming and Qing architecture. Nowadays the surrounding of the Temple of Heaven has become a very popular park for exercising. Gaobeidian Village is a thousand-year-old village, situated next to Tonghui River – a part of the ancient canal connecting Tongzhou and downtown Beijing. Gaobeidian used to be a prosperous wharf serving Beijing. Visit a classic furniture street seeing people how to make classic furniture. Follow a local handicraft man to do your own paper cutting and painting. 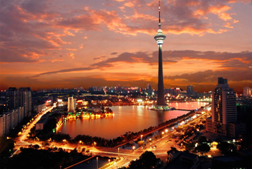 Tianjin is one of the four municipalities directly under the Central Government of China. It lies 120 kilometers southeast of Beijing by the Bohai Sea. The whole city is built around the sinuous Haihe River. From Beijing, it takes only 1 hour to drive by expressway. Walk around Haihe Park enjoying the beautiful river bank’s sceneries. Century Clock stands on the bank of Haihe River by Liberation Bridge. The clock is a landmark of the city on a roundabout. It measures almost 40 meters in height and is embellished with relief carvings of the 12 symbols of the Chinese zodiac in bronze. 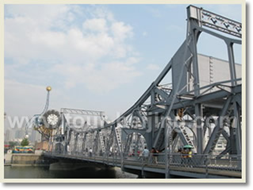 Liberation Bridge (Jiefang Bridge), the 96.7-meter-long iron bridge, built in 1927 by the company which made Eiffel Bridge, is still in function. Come to Tianjin Ancient Cultural Street to enjoy its special architectural styles, see its classic cultural features, take home various folk crafts, and taste the delicious local Tianjin snacks. Five Big Streets (Wudadao) is an sightseeing area dominated by over 2,000 garden-style villas built in 1920s and 30s by British, French and German colonials. It is recognized as the Exposition of Neoteric Architectures. Porcelain House, covering an area of 3,000 square meters, is an old French-style building with a history of over 100 years. The house was originally inhabited by a late Qing Dynasty finance minister, and then served as a bank after 1949. 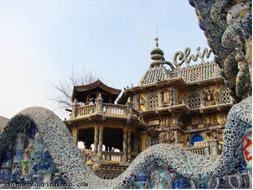 In 2002, the porcelain collector Zhang Lianzhi spent 1 million Yuan buying the house. Then in the following four years, the 49-year-old Tianjin native devoted most of his time to refurnish it with hundreds of thousands of porcelain pieces dating from Tang (AD 618-907) to Qing (1644-1911) dynasties. It is calculated that more than 400 million pieces of ancient porcelain, 16 thousand pieces of ancient chinaware, 300 white-marble carvings, and 20 tons of natural crystals were used in the process, costing approximately over RMB 2 billion Yuan. Now the house also serves as a Cantonese restaurant. 1. All city tours will depart from the conference venue, CNCC. Please book your tours online or send your completed Registration & Reservation Form to ICTAM2012 Secretariat. Reservation will last until 2 days prior to each departure. Any late reservation is subject to the space availabilities. Advance full payment is required by means of online payment or bank transfer. Upon your arrival in Beijing, please reconfirm your reservation and pick up your tour tickets at the Travel Desk of the ICTAM2012 Registration Center. China International Travel Service Limited Head Office will confirm your tour booking in writing. If any booking amendment or cancellation, please inform China International Travel Service Limited Head Office in writing. If any cancellation occurring 48 hours prior to the cancelled tour departure, no penalty charge. If any cancellation occurring within 48 hours of the cancelled tour departure, 100% tour cost will be charged.